After 13 years of no continental club football action in Lagos State, modest Nigeria Professional Football League (NPFL) side, Mountain of Fire and Miracles Ministries FC defeated Nasarawa United 2-0 courtesy of goals from Okorom Stanley and Tchato Giscard to claim a deserved spot in the next edition of CAF Champions League. The Olukoya Boys beat the imagination of many to do the unthinkable following their victory over the Solid Miners in one of NPFL Matchday 37 fixtures played on Sunday at the Soccer Temple, Agege Stadium. Nasarawa United started the exciting encounter guns blazing with series of sleek passes but they later surrendered to the resilient of the Lagos-based team after the first five minutes of exchange. The man of the match, Okorom was the first to make a statement for MFM FC two minutes after the visitors surrendered their dominance when he tested Suraj Ayeleso with a right-footed shot but the Nasarawa United goalkeeper saved his effort. Olatunbosun Sikiru was brought down near the edge of the visitors’ box and the referee signalled for a free kick in the 12th minute. Okorom scored from the free kick spot following a superb strike that left Nasarawa United defenders in dismay. The right-back capped his man-of-the-match performance with an assist when he delivered a well tailored cross to Tchato Giscard to head home the second goal in the first minute of the added time. The second half ended with MFM FC maintaining a comfortable 2-0 lead. Kabiru Dogo and his wards picked up in the second 45 minutes and created few goal scoring chances. Abdulrahman Bashir was close to causing danger in MFM FC’s box when he grabbed a deflected effort in the 55th minute but he wasted the opportunity. Douglas Achiv set up Abdulbasit in the 70th minute of the match but the latter’s shot went far off the upright. 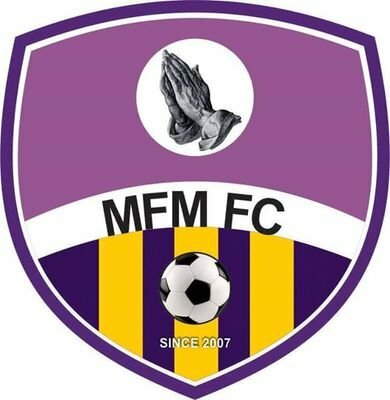 MFM FC stood their ground and defended their two-goal lead with Olatunbosun Sikiru, Onuwa Chukwuka, Tchato Giscard forcing the Solid Miners to their own half while Opara Austine, Abisoye Olawale and Jonathan Zikiye did their jobs at the back superbly. It ended 2-0 and the Olukoya Boys booked a continental ticket after a successful two-year campaign in the Nigerian top flight.